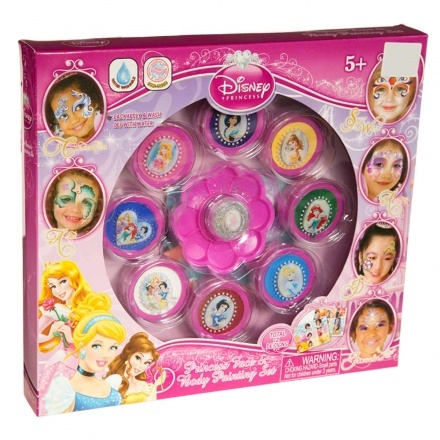 Go creative with this face and body painting set. 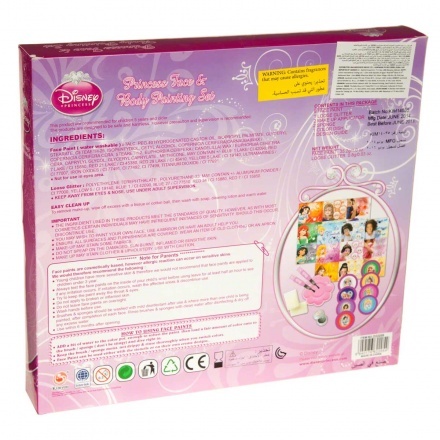 It comes in Disney princesses colour theme. It features various attractive colours, glitter and two brushes for painting.